The North End Water Pollution Control Centre (NEWPCC) treats approximately 70 per cent of the city’s wastewater. The NEWPCC is currently the fourth largest phosphorus polluter among all wastewater treatment facilities in Canada and the single-largest point source of phosphorus flowing into Lake Winnipeg. Phosphorus is the nutrient responsible for potentially toxic algae blooms. 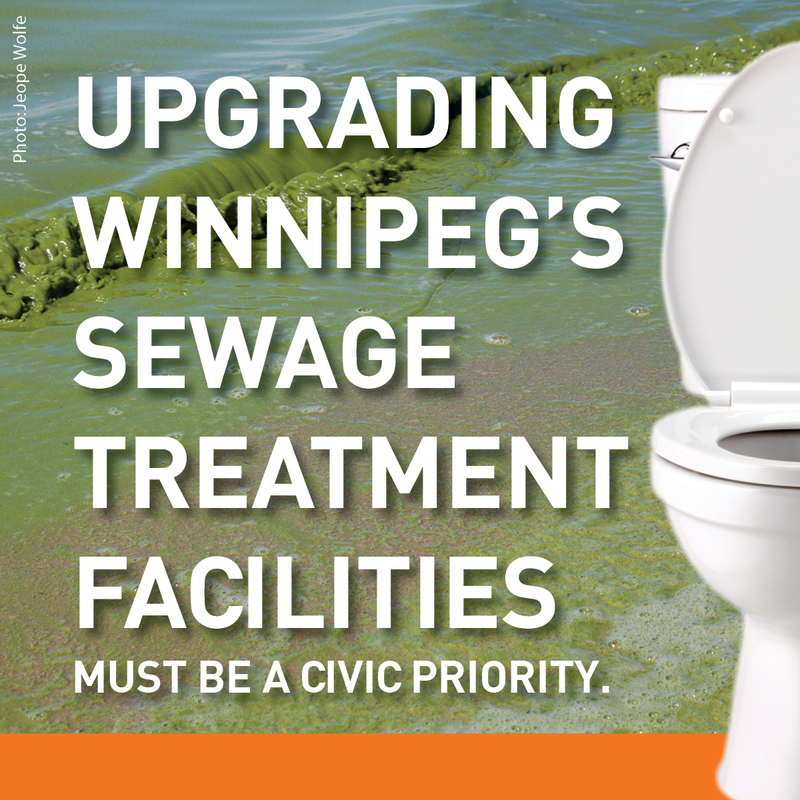 Under its provincial operating licence, the City of Winnipeg is compelled to reduce phosphorus in NEWPCC effluent to 1 milligram per litre (mg/L), based on a 30-day rolling average, by Dec. 31, 2019. In 2017, phosphorus concentrations in NEWPCC effluent averaged 3.54 mg/L. “Scientific research conducted at IISD Experimental Lakes Area over the last 50 years has definitively proven the connection between excess phosphorus and algae. This ground-breaking work rewrote policies around the world to address eutrophication in freshwater lakes,” says Dimple Roy, director of water policy for the International Institute for Sustainable Development. The City of Winnipeg has committed to fully upgrading the NEWPCC. However, experts estimate this upgrade will take 10 years or more to complete and cost an estimated $1.4 billion. An interim retrofit to the NEWPCC modelled on methods currently used in other cities could be applied quickly at low cost – reducing phosphorus in the water that flows into Lake Winnipeg until permanent plant upgrades can be completed. Many jurisdictions around Lake Erie use a simple chemical addition in their wastewater treatment processes to remove phosphorus. “Using ferric chloride – a chemical variant of iron – is extremely common across the Great Lakes region and beyond. Including this step as standard practice has enabled plant after plant to easily meet increasingly stringent phosphorus limits,” says Dr. Glen Daigger, professor of Engineering Practice at the University of Michigan and researcher with the Great Lakes Water Authority, which oversees sewage treatment for approximately 3 million people. The NEWPCC already uses ferric in other aspects of its operations and could optimize the value of this chemical simply by adding it earlier in the treatment process as a phosphorus-removal agent. “Probe’s findings validate what we already know: Lake Winnipeg matters,” says Alexis Kanu, LWF’s executive director. “It’s unacceptable – and frankly, embarrassing – to continue to delay simple and effective actions while the health of our great lake continues to deteriorate. *Between Sept. 19 and 28, 2018, Probe Research surveyed a random and representative sampling of 1,116 adults residing in Manitoba. Results are within ±2.9 percentage points of what they would have been if the entire adult population of Manitoba had been surveyed.